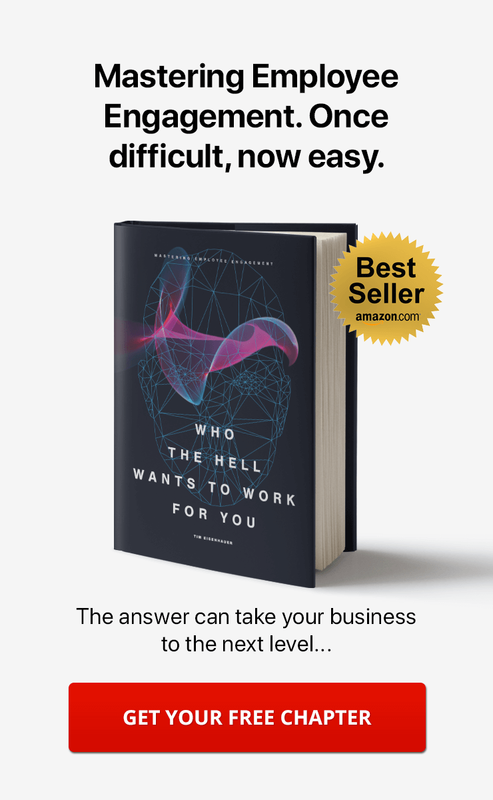 Take one look at the recent history of business over the course of just the past 20 or 30 years, and it's no secret that technology has heavily influenced daily processes. Before the advent of the Internet, paper memos and voicemails were the preferred ways in which to exchange information when people couldn't be in the same room at the same time. It wasn't long before email took precedent and became one of the most effective methods of communication available, and there's a reason why the technology has lasted. All this being said, there are plenty of problems associated with email overload, many of which may spell the end of its run as the top method for sharing information among professionals. The sheer amount of email that people receive on a daily basis often leaves them overwhelmed, and the pain of getting to each and every email often results in people looking for ways they can reduce email overload. Email can indeed be an effective tool for communicating with employees, colleagues and vendors, but it comes along with a fair amount of drawbacks. For one, email is usually carried out via standalone applications. This means you always have to have a seperate window open or be logged into a service that might only be used specifically for email, which results in a great deal of wasted time in the long run. When employees are spending countless hours each week dealing with the reading, categorization, and filing of emails, other important tasks often fall by the wayside. Wasted time isn't the only issue associated with email, however. As so much communication occurs via this method, important information often gets lost in what becomes a veritable black hole. Most email services allow for categorization in folders, but looking back for pertinent information can be exceedingly difficult at times. In this regard, email is actually one of the worst options out there for sharing sensitive information about one's company, and when an employee quits or is fired, it's not uncommon for this important knowledge to disappear from the landscape completely. One thing that often gets overlooked regarding email as a communication vehicle is that not everyone who may wish to communicate with one another actually has a company address. This can make collaboration far more difficult than it should be, especially when it comes to exchanging ideas for solving problems in a timely manner. Email may seem inclusive, but there are plenty of scenarios in which it is not. Finally, it's important to view the ways in which email works in the first place and how they relate to modern communication. While texting and online messaging may have first been thought of as methods for young people to communicate on the fly, both have become huge aspects of how business is carried out in the modern age. People are busier than ever before, and long-tail conversations via email are becoming a thing of the past. Today, professionals want to know that they have the ability to shoot across a quick message on the fly, which isn't exactly what email was designed for. In this way, it's becoming outdated as a method of communication. With all the talk of and concerns about email going the way of the dinosaur as a primary way to communicate with other professionals, it's important to highlight what may end up serving as its replacement. Enterprise social networks are quickly becoming popular among small, medium and large businesses, as they serve a variety of different purposes. A social intranet can be used for the sharing of documents and the creation of content, but perhaps most importantly, it serves as one of the best platforms for modern communication available today. Social intranet software allows you to combine all of your business processes into a single space, which means you'll no longer need to log into a variety of different applications and websites to get your workday off the ground. Your communications live in the same area as your content, documents and other materials. One login is all it takes to access everything you need for the day, which helps to streamline the workflow of you and your employees to an incredible degree. The beauty of using a social intranet to communicate with employees, colleagues, and vendors is that all of the exchanged information is in a well-organized environment. With email, locating a conversation that was filed away months ago can be exceedingly difficult. 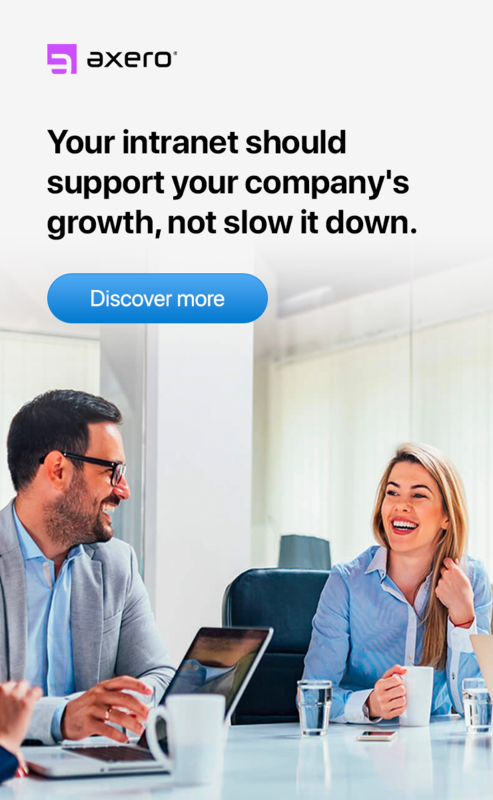 Enterprise social networks, on the other hand, make it very easy to retrieve old conversations, which can result in quite a bit of time saved. Data retrieval isn't the only reason to use social intranet software for communication purposes. Anyone who has ever used Facebook or other social networks likely has a handle on how chat and messaging works, and your social intranet is not entirely different. Collaboration software makes communicating with others in your organization a breeze, whether you're looking to chat with one person or an entire team. The visual layout of enterprise social networks only serves to emphasize the ease of communication as opposed to email, where organization can easily fall by the wayside. If there's one major reason why social intranet software helps to reduce email overload, it's that it fosters true collaboration. Group conversations can be difficult to keep track of in email — it's simply too easy to overlook messages that might be of the utmost importance. In a social intranet, however, employees can easily bounce ideas off of one another (or an entire group) when seeking to find a solution to whatever issue they may be faced with. Enterprise social networks, then, serve as vehicles for true collaboration in ways that email simply would never be able to. Email isn't just going to disappear overnight. Indeed, it's still used by millions (if not billions) of individuals worldwide on a daily basis, some of whom rely on email to the point where they'd be lost without it. Businesses, on the other hand, are already taking strides in reducing email overload and making the transition over from an email-based communication platform to using social intranet software. As social intranets continue to grow in popularity, it's highly likely that more and more businesses will begin to move from email to collaboration software as a main means for handling communication. Aside from the fact that social intranets help to streamline business processes, the "social" aspect of them tends to be extremely appealing. Today, billions of individuals throughout the world use social networks like Facebook and Twitter to keep up with friends and family. 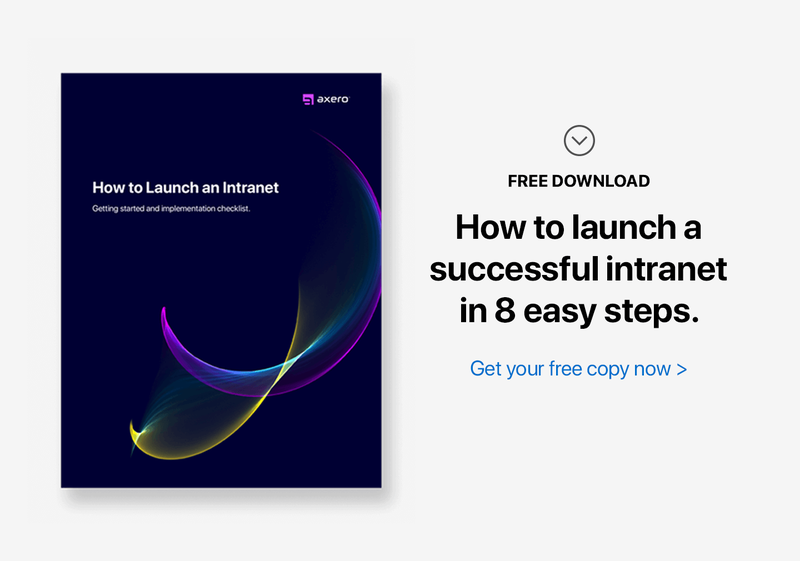 Most people who use the Internet regularly are familiar with social networks and how to use them, and this familiarity translates heavily to using social intranet software. In this way, it's quite easy to train employees to participate in a social intranet, especially if they've seen this type of software in the past. Going forward, businesses will still use email to communicate with potential leads and customers, but its function will change in terms of internal communication. Email is really becoming more like a communication center which informs employees about things that are happening within the enterprise social network. For example, certain activities (like closing out a project, or commenting on someone elses work) will trigger automated email notifications that feature links to pages within the company's social intranet. Reliance on email for typical conversation, then, will become a thing of the past, and it's already happening at an impressive rate. Once you see the difference social intranet software can make for your business, it becomes all too clear why the social intranet is taking over. 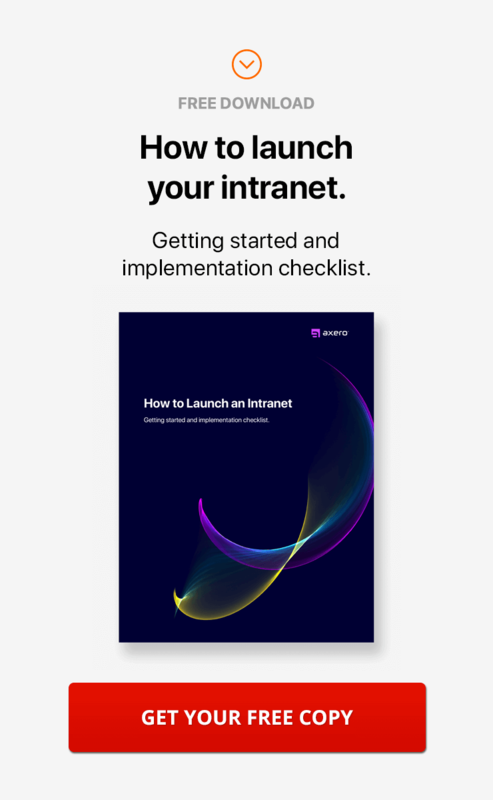 If you're still new to the concept of intranet software, there's never been a better time than now to dive in and learn more.